Since representatives have been given the right to appeal to the Financial Services Tribunal against debarment decisions, many such actions have been set aside by this appeal body. In most of these cases the debarment process was not followed as per the updated Section 14 of the FAIS Act and the debarment was uplifted. 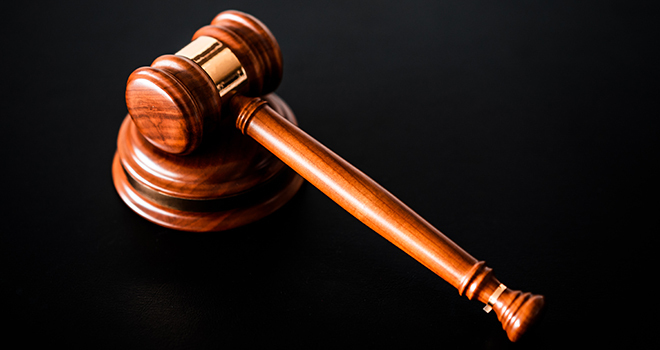 However, in the latest case, the emphasis was not only on the applicant and the reasons for debarment by the FSP – the focus also included the respondent’s way of conducting his business. The applicant, Ms M, was employed by the respondent, Mr R, as a financial advisor. The applicant, however, was only licensed for Category A. Apart from advising on Category A products, the applicant was expected, by the respondent, to assist him in advising clients on products of Old Mutual and AVBOB which were not included in her licence conditions. She was instructed to advise such clients and complete the application forms, something which she clearly was not authorised to do. The respondent would then submit the policy proposal forms in his name and cite himself as broker/advisor of the clients. The commission on these policies would be shared with the applicant. Further investigation showed that, according to the employment contract of Ms M, her remuneration was target based. If she was unable to source 5 cases weekly in succession for three months, her contract would be terminated. The respondent’s business activities came under scrutiny when Mr N, an alleged client of the applicant, laid a complaint with AVBOB. AVBOB then conducted an investigation particularly in respect of Mr N’s policy and concluded that the applicant was not licenced with AVBOB nor was she authorised under the respondent’s licence. As a result of these allegations, including the accusation of a fraudulent signature on the application, the respondent debarred Ms M. A disciplinary hearing was held after she had left his service, but had not, in fact, officially resigned. In essence, the modus operandi followed by the FSP was as follows: A sub-agent would obtain a client’s details and submit this, together with a blank signed application form, to the representative who would, in turn complete the application form and forward it to the broker who would then submit this to the insurance company under his own code. The Tribunal found both the respondent and the applicant’s conduct very concerning. The respondent certainly had a hand in the matter as his signature appeared on the fraudulent application form. His conduct and the running of his business therefore warrant an investigation, according to the Tribunal. The applicant is also not exonerated from any blame or wrongdoing. She conducted herself in a manner that is not appropriate for a financial services provider. As alluded to above, she failed to act with the necessary due care, skill and diligence. The Tribunal recommended that her conduct in the “business scheme” of the respondent be investigated as well. The FSCA is required to investigate the conduct of the applicant as a financial services provider whilst in the employment of the respondent. This must be one of the most flagrant transgressions of the basic requirements of the FAIS Act and General Code of Conduct we have yet come across. It also explains why the (then) FSB was so exasperated with goings-on in the funeral business. Sadly, those affected are normally the most vulnerable, with little or no knowledge of what they buy, or what recourse to justice is available to them. Please click here to download the Tribunal case.